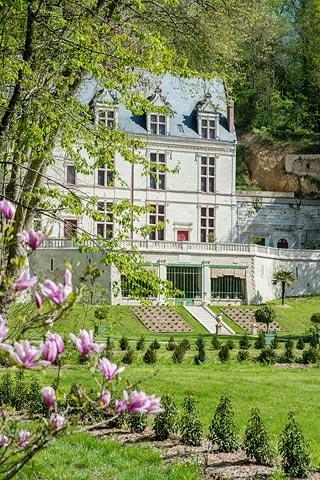 The Domaine Royal de Château Gaillard and its gardens is a castle/manor house and gardens, completely renovated in recent years to its original condition, in the town of Amboise. 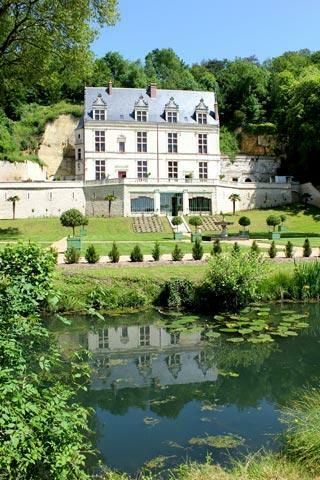 Chateau Gaillard and its gardens cover an area of 15 hectares (37 acres) in the heart of Amboise. The castle and gardens both originate in the renaissance period, and have been restored to their original plan and layout as far as possible. 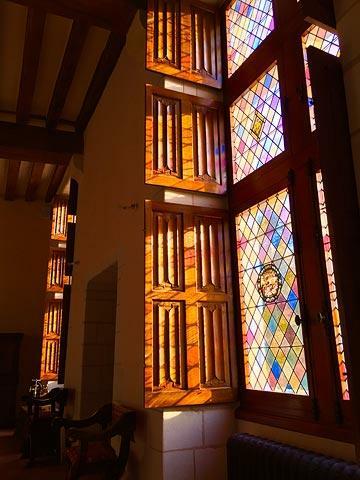 The origins of the property date from 1496 when King Charles VIII returned from Italy: during his time in that country he had fallen in love with the Italian style of architecture and decided to recreate the style here in Amboise. Not wanting to leave the project to chance he also brought with him 22 Italian artists as well as the most celebrated garden designer of the time, called Dom Pacello, and 30 tons of artworks that he had seized in Italy: a good start to furnishing his new home! As a consequence Château Gaillard was the first garden in France to be designed in the renaissance style, and also the first garden in France to include orange trees. There is an orangery, half-buried, underneath the castle. 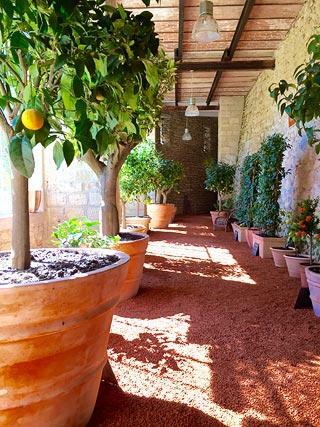 Moving forward to the 21st century, an enormous undertaking involving numerous artisans and specialists over the course of five years has taken place to restore and renovate the house and gardens. Now complete the chateau is open to the public. 1) A tour of the chateau, which is quite typical of an Italian renaissance townhouse. There are numerous period features, such as the window surrounds, the stained glass windows and the carved frieze. The house also contains beautiful doors and chimneys and is furnished using the furniture typical of the 16th century. 2) Exploring the gardens, called the Jardins du Roi (Gardens of the King) and with the orangery and its many citrus trees as a centerpiece. 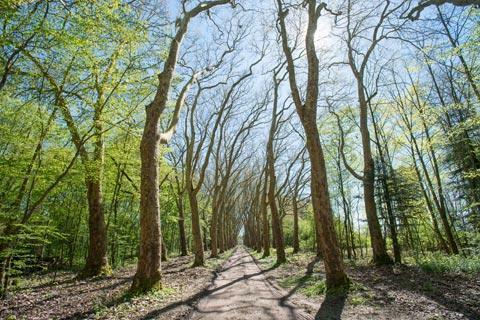 As well as the main promenade that explores the orangery and the formal gardens in front of the domaine there are are also several other pathways that explore the grounds around the castle, reaching various small buildings, troglodyte dwellings and viewpoints. 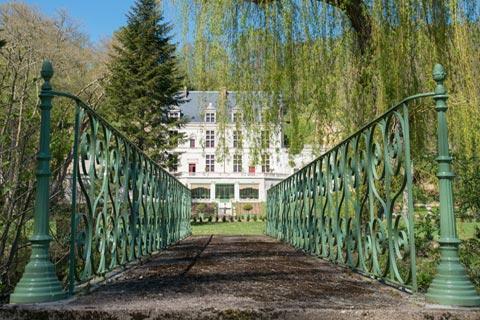 To reach the Domaine Royal de Château Gaillard from the centre of Amboise you can follow the same route that leads to the Château du Clos Lucé (house of Leonardo da Vinci), then continue along the Rue du Clos Lucé a short distance before turning right on the Allée du Pont Moulin. The two properties are only about 150 metres apart. Entry costs 11 euros (students/unemployed: 10 euros and children 7-18 years: 7 euros). The guided visit is included in the price of entry. The property is open every day from 13.00-19.00, from April until early November. 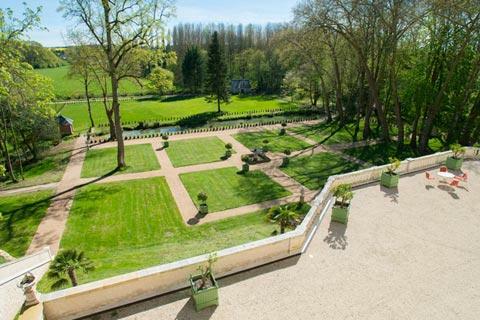 The town of Amboise is one of the most charming in the Loire Valley. 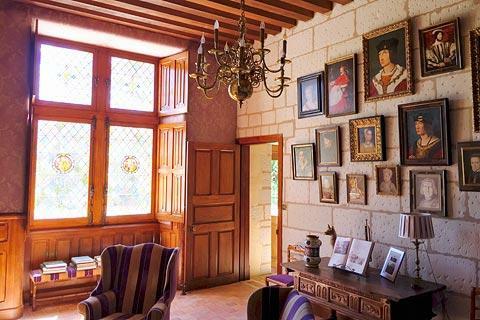 As well as exploring the town centre and the Domaine Royal de Château Gaillard you will also want to visit the Chateau d'Amboise and the Chateau du Clos Lucé - so allow plenty of time for a visit!